"I Felt Like I Was His Only Patient"
Spinal stenosis is a condition in which open spaces within the spine become narrowed, causing pressure on the spinal cord and nerves of the spine. Spinal stenosis is a condition in which open spaces within the spine become narrowed, causing pressure on the spinal cord and nerves of the spine. Spinal stenosis usually occurs in the spinal canal itself, generally in the neck (called cervical spinal stenosis) or lower back (called lumbar canal stenosis). 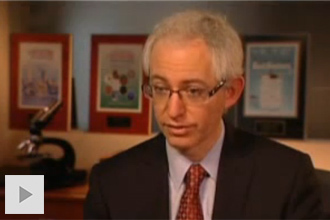 It is most common in those over age 50, although it can occur in younger people as well. Sometimes spinal stenosis causes no symptoms, but depending on the location and intensity of the spinal pressure, it can cause pain, numbness, weakness, and in severe cases bowel and bladder problems. Spinal stenosis can be a natural result of aging, as the spinal canal becomes compressed through years of wear and tear. In other cases, spinal stenosis can be attributed to a specific cause such as an injury, accident, or a related spine condition such as a herniated disc. When people under the age of 50 have spinal stenosis, it is usually due to a genetic predisposition called congenital spinal stenosis, which means they are born with a small spinal canal. This can put pressure on areas of the spine. It’s much more common for spinal stenosis to develop in those over 50. Bone spurs: Bone spurs can form between the vertebrae in anyone as they age, and they usually occur in those over 40. Arthritis: Osteoarthritis is a common condition among those over 50. It can cause disc degeneration, bone spurs, and overgrowth of ligament that can lead to spinal stenosis. Rheumatoid arthritis is a less common cause of spinal stenosis, although the inflammation it causes can create pressure (usually in the neck) that leads to stenosis. Degenerative spondylolisthesis and degenerative scoliosis (curvature of the spine): Degenerative spondylolisthesis (slippage of one vertebra over another) is often caused by spinal degeneration. Frequently, this is seen with lumbar spinal stenosis. Herniated disc: Herniated discs, also known as slipped or ruptured discs, occur when the cushions in the spine that act as shock absorbers become weakened. Slipped discs have various causes, including age, obesity, and injury. 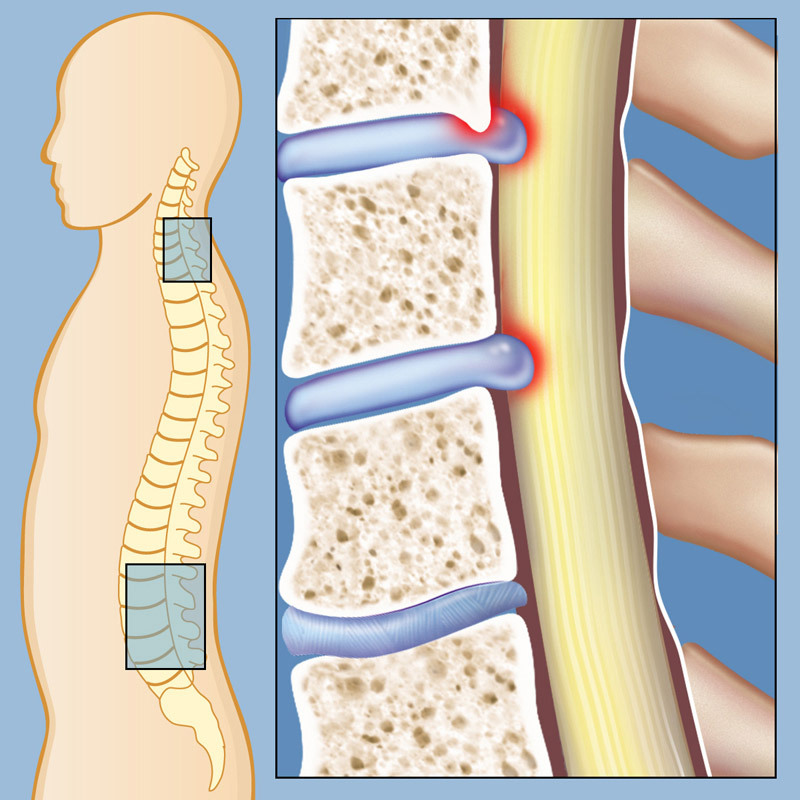 When a disc ruptures, it may put pressure on the spinal cord or nerves, and may cause spinal stenosis. 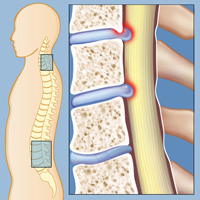 Read more about herniated discs. Injuries: Trauma to the spine can cause vertebrae fractures or dislocations, which in turn can cause damage to the spine canal. These injuries can come from sports, car accidents, or falls. Tumors: Tumors are abnormal growths of soft tissue which can occur in the spinal canal. The growths put pressure on the spinal cord and vertebrae, and can lead to bone loss and displacement.